I've never had any piano training/lessons, so I don't really know the indications. What does 'Led' (or is it 'Σed') mean? 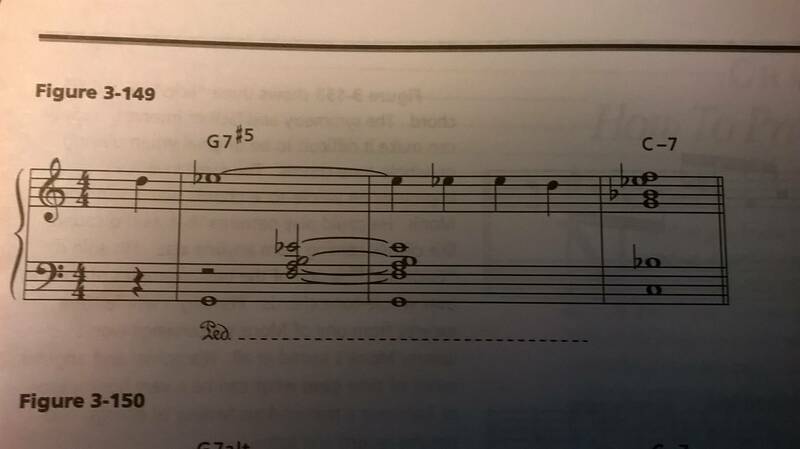 It's actually Ped, and just instructs the pianist to use the sustain pedal, in this section. It means to use hold down the damper pedal until the end of the dash. The effect is that every note you play while the pedal is held down is sustained. There are actually a few variations of this notation with another popular form of it shown here. The idea behind the other common form is to show where you press the pedal (the PED) and where you release the pedal (the *). What does the indication 9 7 mean? What does this b5 indication refer to?